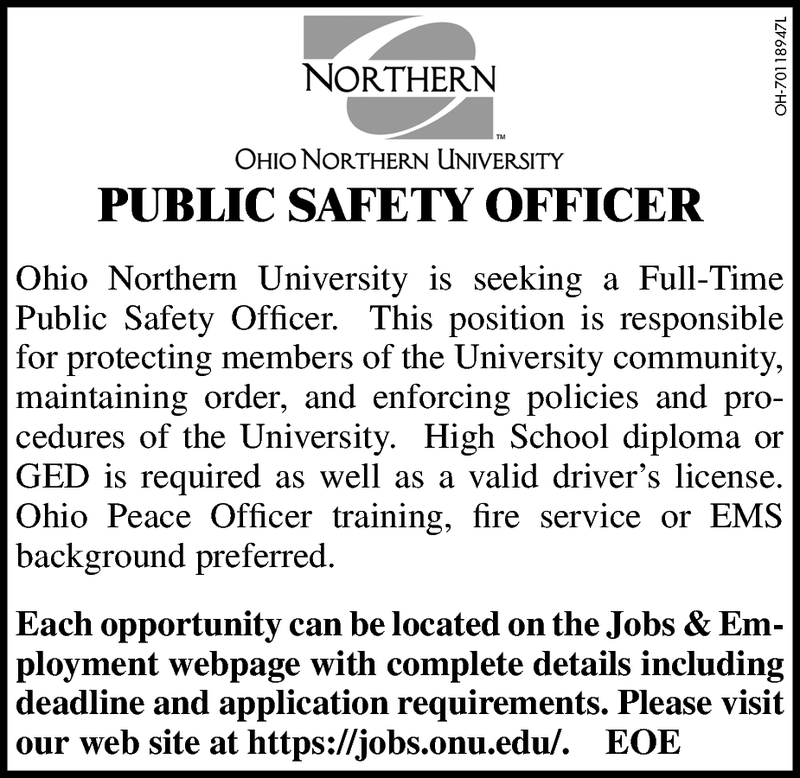 Ohio Northern University is seeking a Full-Time Public Safety Officer. This position is responsible for protecting members of the University community, maintaining order, and enforcing policies and procedures of the University. High School diploma or GED is required as well as a valid driver's license. Ohio Peace Officer training, fire service or EMS background preferred.